The software update applies to the Jeep Cherokee, shown, and the Chrysler 200 with a 2.4-liter inline-four engine. DETROIT -- Fiat Chrysler executives say they are straightening out software problems with the automaker's nine-speed automatic transmission, but nagging issues persist. Consumer complaints on the safercar.gov website about the 2014 Jeep Cherokee describe hard shifts, lunging, unexpected disengagement of the transmission or repeated illumination of malfunction lights. FCA US will notify owners of 2014-15 Cherokees and some 2015 Chrysler 200s in mid to late February that they may return to dealerships to have updated transmission software installed. An FCA US spokeswoman said the transmission software reflash is "intended to keep the vehicle performing as intended, and to prevent durability issues from occurring in the future." The reflash -- available at dealerships now by consumer request -- applies to all Cherokees and to 200s with 2.4-liter inline-four engines. FCA US introduced the nine-speed transmission for front-wheel-drive vehicles in late 2013 on the 2014 Cherokee. The Cherokee's launch was delayed three months by the transmission software's troublesome coordination of the engine and the disconnecting all-wheel-drive system. The automaker has added the transmission to the redesigned 200 and the new Jeep Renegade and Fiat 500X. 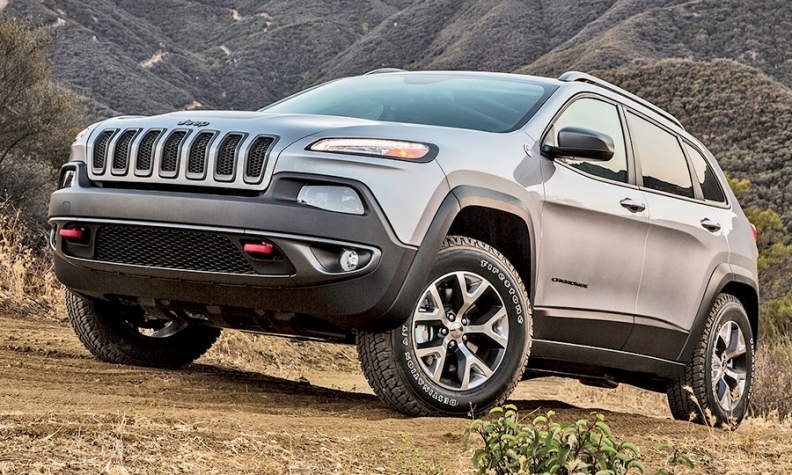 Speaking to reporters last month, Fiat Chrysler CEO Sergio Marchionne said the transmission lacked "mature" software when it launched in 2013 on the Cherokee. Of the more than 230 complaints about the 2014 Cherokee listed on the National Highway Traffic Safety Administration's database, more than half -- 120 -- involved the SUV's powertrain. The complaints date from shortly after the SUV launched in October 2013 until last month. NHTSA has not launched a formal investigation. The powertrain complaints listed did not result in crashes, injuries or deaths. The transmission problems appear to be improving. There are no complaints about the transmission on safercar.gov for the 2015 Cherokee or the 2015 200, both of which use the nine-speed automatic transmission. FCA plans to use the nine-speed in almost all of its fwd-based vehicles, including the 2015 Renegade and 500X. in heavy traffic, leaving the driver to coast to the side of the road. Others are more mundane, such as malfunctioning indicator lights. Marchionne told reporters last month at the Detroit auto show that the "teething problems" the company experienced when it launched the 2014 Cherokee are narrowing in scope. The pace at which Fiat Chrysler dealers are replacing nine-speed transmissions in consumer vehicles has remained fairly constant, averaging between 12 and 15 a week, according to dealer part orders. "We have had to do an inordinate amount of intervention on that transmission, surely beyond what any of us had forecast," Marchionne said. "There are things that we have done -- that we continue to do. Our proactive customer care intervention has actually increased in intensity on these vehicles in 2014, especially in the second half." Marchionne acknowledged that problems with the nine-speed -- which was developed by and licensed from ZF Friedrichshafen -- have not been mechanical or about its innovative design. Instead, software continues to be the issue, Marchionne said. In January 2014, the executive in charge of ensuring that the nine-speed's software operated correctly left what was then Chrysler Group. Mircea Gradu had been head of transmission, powertrain and driveline engineering for the automaker. He now works for Hyundai Motor America as director of engineering and quality. "It's the refinement of those issues, as opposed to anything else," Marchionne said. "There's nothing substantial. It's just a nuisance, and I don't like it."